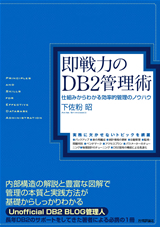 - DB2 BLU Acceleration Hands:on@Cloud ! The release notes and support packs enable organizations running SAP on DB2 databases to leverage BLU Acceleration for speed of thought analytics to SAP applications, SAP NetWeaver Business Warehouse (BW), and IBM DB2 Near-Line Storage. This document contains a list of fixes for Security and HIPER APARs in DB2 Version 10.5.